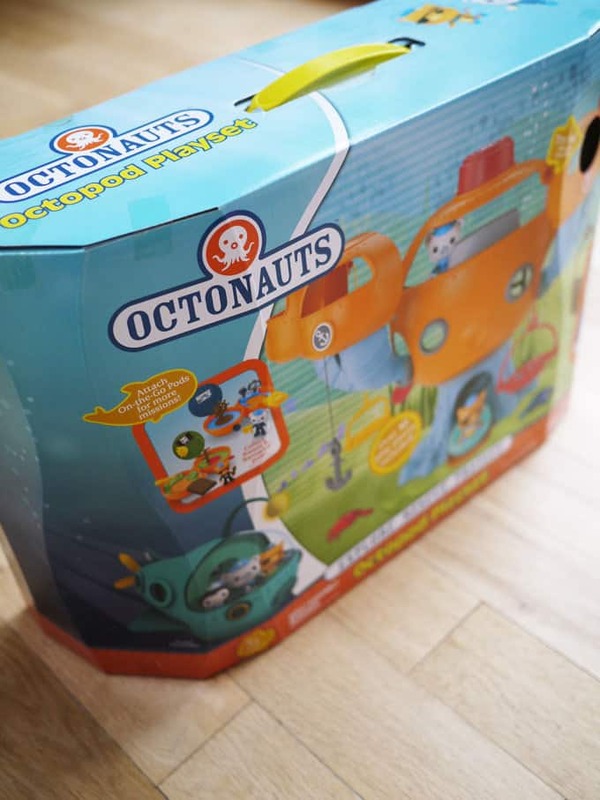 Kids TV obsessions come and go, as every parent knows, but the Octonauts team have been a firm favourite in our house for over a year now. Not a meal goes by without Captain Barnacles or Peso joining us. Then there’s those times where my children have to explain certain marine life to me and I have to resort to Wikipedia to keep up (I now know what a Narwhal is, every day’s a school day). 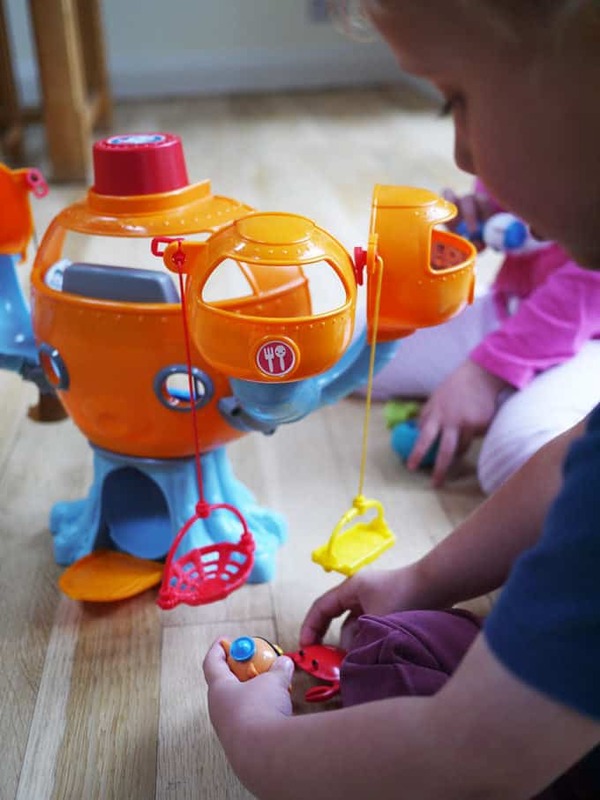 We bloomin’ love Octonauts. So when we were asked to review this I couldn’t say no. The Octopod looks just like it does in the TV series and it really brings the imaginary world to life. 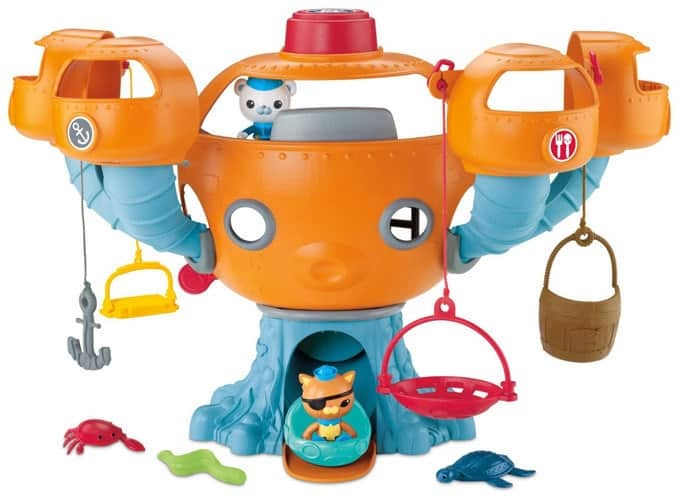 It comes complete with Captain Barnacles and Kwazii figures, a mini GUP-A, four rescue tools and three sea creatures who need the Octonauts help. The rescue tools attach to each of the pods, great for little fingers to practise taking them on and off. Captain Barnacles and Kwazii can whizz out of the Octopod on the mini GUP-A, down the trap-door and out on the slide. Perfect for emergency rescues. There’s also a detachable Octonaut sounder, to sound your very own Octo-alert. Detachable means it’s perfect for parents to hide for a while when they can’t cope with hearing it for the 50,000th time.. Just me?! The whole set feels very sturdy and well made. All of the parts fit perfectly, and work together smoothly. 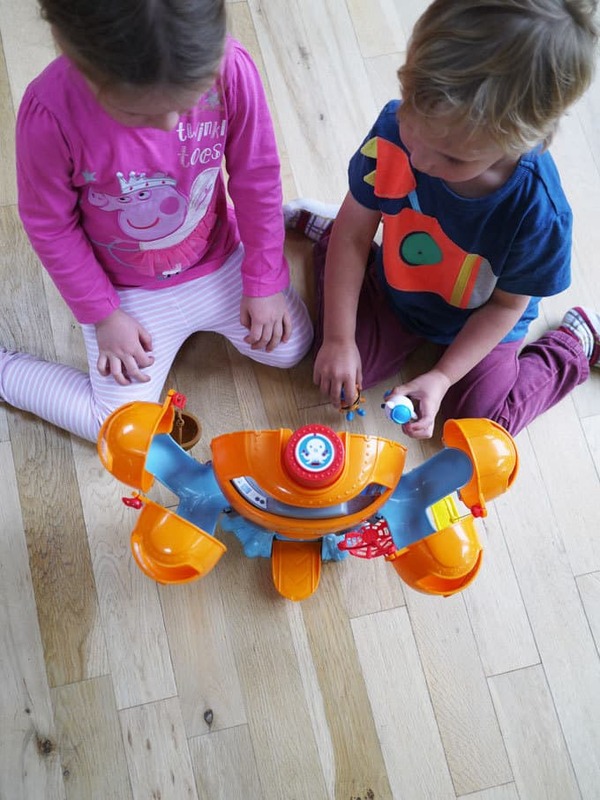 We’re super impressed and would highly recommend it as a gift for pre-school children. It’s been played with every day so far here!